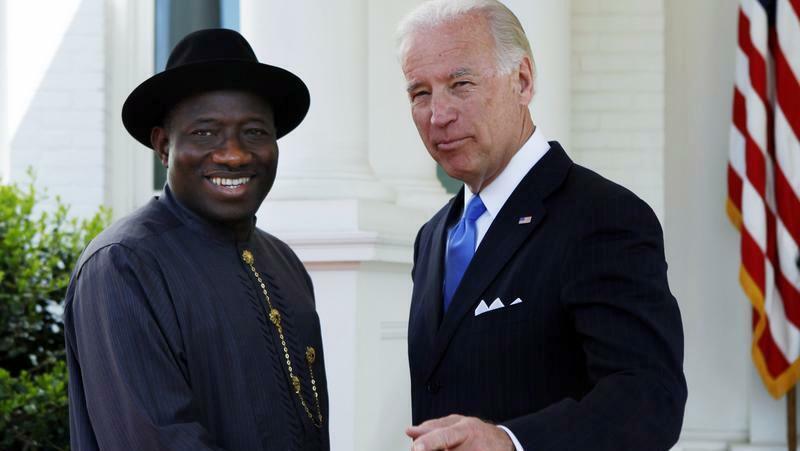 President Goodluck Jonathan and U.S. Vice President Joe Biden have agreed that Nigeria and the United States would work together to urgently curtail the outbreak of Ebola virus. Messrs. Jonathan and Biden met in Washington D.C on Tuesday on the side-line of the on- going US-Africa African leader’s summit, according to a ‘readout’ issued by the White House, Office of the Vice President. Eight persons in Nigeria have come down with symptoms of Ebola since a 40-year-old Liberian-American, Patrick Sawyer, died of the disease in Lagos. The identity of a second victim of the deadly virus has been withheld by government who revealed the mentioned the victim as a nurse who had contact with Mr. Sawyer at the hospital in Lagos. According to the World Health Organisation, over 800 persons have died from the Ebola virus from the three main hit West African countries of Liberia, Guinea and Sierra Leone. Meanwhile, in a White House statement, Mr. Biden spoke about the U.S. partnership with Nigeria in the fight against terrorism. “The Vice President also underscored the importance of supporting Nigeria’s effort to improve the socioeconomic and security conditions in northern Nigeria,” the statement by the White House said. Further, Mr. Biden was quoted to have welcomed Nigeria’s work to improve its business climate, which continues to attract U.S. investors. Both leaders were reported to have expressed their commitments to trade and investment, and the critical role that access to electricity plays in supporting that goal. President Barack Obama, on June 30, launched Power Africa, an innovative private sector-led initiative aimed at doubling electricity access in sub-Saharan Africa. It is believed that no fewer than 600 million people currently lack access to electricity in the region. Mr. Obama used the occasion of the summit to announce a renewed commitment to this initiative and pledged a new level of $300 million in assistance per year to expand the reach of Power Africa. The U.S. government has set an ambitious aggregate goal of 30,000 MW of additional capacity to Africa and increasing electricity access by at least 60 million households and business connections.